Korg Volca Beats Rhythm Machine – an awesome analog drum machine with a PCM sound engine to give you a great bank of sounds to work with. ..
Korg Volca Beats Rhythm Machine – an awesome analog drum machine with a PCM sound engine to give you a great bank of sounds to work with. Fantastically portable and giving you the best of analogue drum sounds and a PCM sound engine for additional sounds, the Volca Beats from Korg is a great drum machine that is as affordable as it is fun to use. 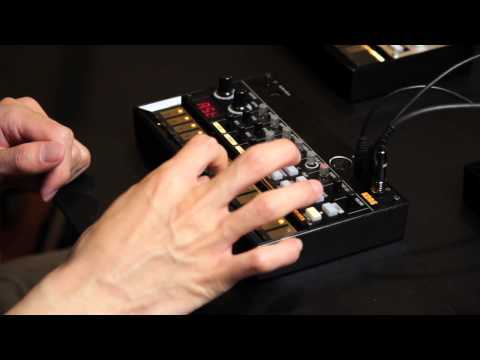 Volca Beats gives you six of the best sounds from an analogue drum machine: Kick, Snare, Lo Tom, Hi Tom, Open Hi Hat and Closed Hi Hat, all of which Korg have newly designed and giving you a sound that can only be produced by analogue technology. Volca Beats also gives you a minimal set of paramters that have been carefully selected to provide a simple and streamlined interface for quick and easy drum sound creation. By using just three knobs; Click, pitch and Decay, for example, you’re able to produce an amazing variety of kick sounds – from heavy and booming low sounds to tight and right, precise beat-keeping sounds. Great presence and palpable density and with all the character you’d expect from sounds that only an analog drum machine can produce. 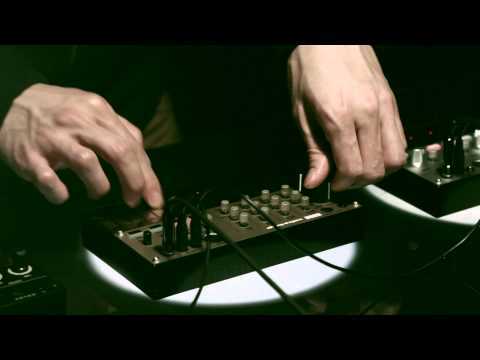 Initially part of the Korg Electribe, this loop sequencer was met with universal acclaim and so Korg have incorporated this same idea and modified it to work perfectly with the Volca Beats drum machine. Editing is easy with this step sequencer and it allows you to add and remove parts on the fly, putting creativity, inspiration and improvisation in control. 16 step keys allow you to intuitively enter notes while you can visually monitor the note timing within the measure. An Active Step function allows you to skip steps during playback of your sequences. Using this to your advantage, you can create awesome short loop effects and irregular rhythms for dynamic and organic performance on-the-go. A Stutter function allows you to add in some great drum roll style sounds and delay-life effects to increase your performance potential. Transform the feel of your pattern entirely or use the function for great fills between patterns. You can even record the Stutter knob movements in a sequence. 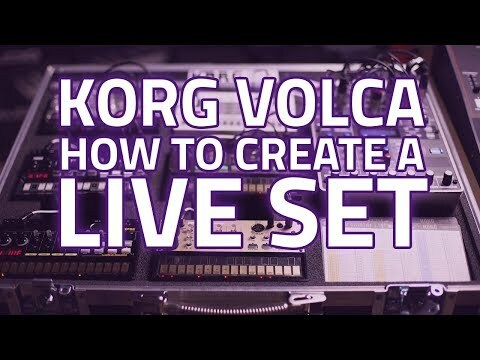 Utilising a PCM sound engine, Korg’s Volca Beats gives you the great sounds that analogue synths aren’t suited for such as Agogo, Crash Clap and Claves – so you get all the sounds you want in your drum machine. The unique and raw lo-fi sound of the 80s has been reproduced perfectly in this PCM engine, matching perfectly with the analog drum sounds so you get the best of both worlds. A MIDI IN connector lets you synchronise the Volca Beats with your other devices and even play it from your MIDI keyboard. You can also send note information from your DAW, effectively using Volca Beats as an analog sound module. Using the SyncKontrol iPhone app you can wirelessly control tap tempo and swing settings. You can also synchronise playback with iOS music apps via WIST. To make things even better; Volca Beats is really compact in size and can be batter operated and using the built-in speaker, you can take it with you and use it to make beats anytime, anywhere.